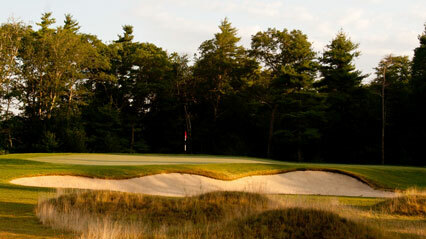 Greg Yeomans Captures NEPGA Cape Cod Match Play Championship Title! Playing in front of a gallery of club members, the Bay Club’s Greg Yeomans defeated fellow Bay Club professional John “Pi” Paesani 1 up in the final match of the NEPGA Cape Cod Match Play Championship Thursday, October 30 on their home course. This win gives Greg his third consecutive title and seventh overall since 2005. Greg took an early 1 up lead on the second hole with a par as John made bogey. The two then halved the next four holes before Greg made birdie hitting his approach out of the left fairway bunker on number 7 to 3 feet leading to a win and 2 up lead. The pair halved the next 8, 9 and 10 before Greg hit a poor tee shot into the fescue left leading to at least a bogey while John routinely hit the green in three to claim the hole. John now having the honors hit a beautiful approach into number 12 about 15 feet behind the hole. Greg missed his birdie bid and John made his, match all square. After halves on 13 and 14, Greg hit two great three woods to 10 feet short of the 15th green and managed to get up and down for birdie to take the 1 up lead. John had good looks on 16 and 17 but just missed his putts taking us to the 18th tee with Greg leading 1 up. Greg hit the fairway and John pulled his tee shot into the left rough but drew a great lie. John’s approach missed the green just right in the first cut pin high. Greg hit the green and was first to play and lagged his first putt into “gimmie” range for par. The stage was set John need to make to extend the match. Once his chip came up just short Greg had claimed the title. 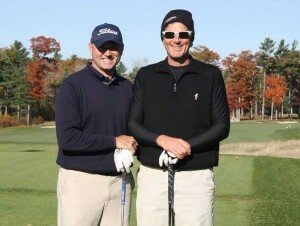 Both John and Greg played real solid golf as between the two of them they missed only three greens the entire day. Although Greg won it was a win for the Bay Club as the professional staff once again showcased their talents. Congratulations to both Greg and John for putting on a great show! Chris Makepeace, former President of Ocean Spray, and Dawn Gates-Allen, Communications Manager for the Cape Cod Cranberry Growers’ Association (CCCGA) recently presented “Cranberries 101 – Neighbor to Neighbor” for the members. Using a variety of pictures, they demonstrated how the bogs change during each season of the year, and how the growers deal with issues such as frost, pesticides, and pollination. This unique presentation told the story of the history, heritage, cultural practices and neighbor to neighbor relationships which help educate within the cranberry industry to preserve an important economic agricultural industry in Massachusetts. CCCGA is one of the country’s oldest farming organizations. 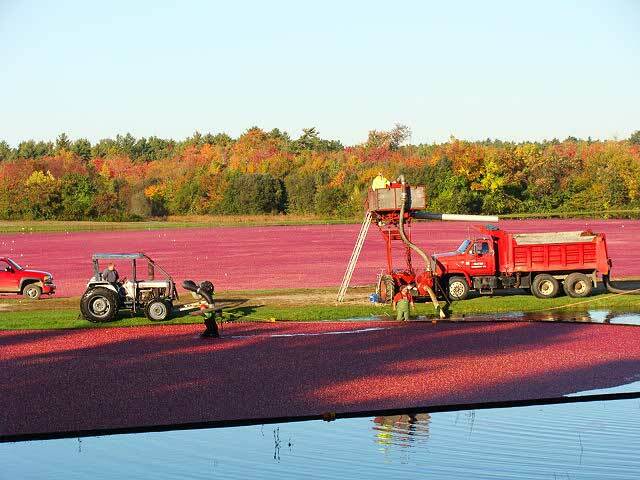 Through research, assistance to farmers, and professional development, the CCCGA works to ensure that cranberry farming can survive urbanization and that open space and clean water, vital to cranberry growing, will be preserved. Members enjoyed cranberry inspired cocktails before the lecture followed by dinner at the Golf House restaurant. The Bay Club once again hosted the Annual Nativity Preparatory School Tennis and Golf Fundraiser. Golfers enjoyed a fabulous day on the championship 18-hole golf course while the clubs 4 har-tru tennis courts were in full action. Afterwards, a dinner buffet was enjoyed by all participants and their guests at the Golf House restaurant. A successful auction capped off the evening. Nativity is an independent, tuition-free middle school for boys from low-income families in the New Bedford area. The school provides a challenging and supportive learning environment, where motivated students of all faiths are offered an intellectual, cultural, physical and moral education. The goal is to graduate young men who are academically prepared for further education, inspired to lead their lives with humility, and dedicated to serving others.